The stories that form the narratives of our families often remain hidden, just outside the field of vision, and it is only through questioning and exploration that some people break through the white noise and find some truths about themselves and their family tree. First, in an award-winning movie documentary, and then, in the illustrated memoir entitled THE MAGICAL LIFE OF LONG TACK SAM, Ann Marie Fleming pulls back the stage curtain on her family and delves in. Fleming began her investigation into her own family history with a simple question: Who was her great-grandfather, known as Long Tack Sam. And she ended her journey with another query: Why was Long Tack Sam forgotten by the world? In the world of magic and vaudeville, Fleming's great-grandfather was a certified star – a brilliant Chinese acrobat and magician who traveled the world many times over with a troupe of entertainers, playing to sold out shows throughout the early 1900s. Long Tack Sam had fame and fortune and the ability to draw huge crowds. 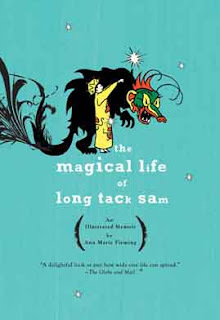 THE MAGICAL LIFE OF LONG TACK SAM is all about Fleming's own journey to discover her roots as she interviews members of her family, friends and others in the dwindling network of magicians. Along the way, Fleming also unfolds the history of the 20th Century as her great-grandfather's arc of popularity follows a similar trajectory of global prosperity and trouble. Her great-grandfather was born in China in the late 1800s, married a woman from Austria and never felt rooted in any country. Throughout their lifetime, as wars raged in Europe and Japan and while a revolution took place in China, Long Tack Sam and his family always felt like outsiders and this rootlessness, Fleming suggests, is one of the reasons why the world has forgotten one of the most famous magicians of the 20th Century. She also notes that her great-grandfather resisted the push to Hollywood when movies were luring the stars of the vaudeville network to the big screen. (He feared that he would be cast as a stereotypical Chinese villain, with a long beard and evil eyes. There is even an excerpt from a newspaper interview that Long Tack Sam gave in which he is explicit in his desire not to be drawn into Chinese stereotypes). Using the genre of the graphic novel in interesting ways that mixes comics, photographs, sidebars, handbills from performances, and timelines in a huge melting pot of narrative, Fleming relates the multiple versions of how Long Tack Sam came to be famous and casts ample doubt on most of what she has heard. But by digging deep, Fleming does come to some insights about her great-grandfather. She ends her book with the satisfaction that she has been able to resurrect the memory of Long Tack Sam back into popular culture. The reader stays with her on the journey, following the threads of her investigation with interest and wondering about the inner world of Magic, the impact of racism on such a strong personality as Long Tack Sam, and who in our own family has the box of photographs stored under their bed that might help tell the tale of our own family's history. The influence of Fleming's movie and animation career are felt throughout this wonderful book. She shares not only her own drawings and comics (even inventing a stick figure narrator of herself that dances in and out of the frames), but she also provides the source photographs that she discovers in her exploration, frames from home movies, picture collages and other images. This mix of media makes for an interesting experience for the reader. Our eyes are drawn to every inch of the page. She even includes a flip-book figure on the lower right corner of the book, showing her grandfather doing cartwheels and other acrobatic acts in colorful motion. When the story shifts to the tangled origins of Long Tack Sam's emergence as a world performer at four different times in the book (with four different stories), Fleming enlists the help of comic book artist Julian Lawrence to illustrate the tales, and the result is a series of traditionally-looking comic books embedded inside a graphic novel. (She even calls the fake comic, Magical Comics and Stories, and pins the cost at ten cents per copy). This book is appropriate for young adults and high school students, although middle school students could certainly read it and get a lot out of it. There is no profanity or violence, although the issue of racism and discrimination is a topic of the book at times. The publisher’s recommended age is 18-years-old and up. THE MAGICAL LIFE OF LONG TACK SAM has the potential for classroom use on many levels. First, the memoir demonstrates the power of storytelling on a very personal level. Fleming is honest about the success and failure she had in finding out the truth about her great-grandfather. But it is clear that her reliance on a wide range of sources – from people to newspaper clippings to photographs to movies – is an important way to document history. Flemings' use of a timeline along some pages shows the convergence of world events with the life story of Long Tack Sam. This reflection of the world gives the story a powerful backbone narrative and the technique reminds us that our lives often do mirror the times. Fleming never shies away from the racism endured by her Chinese great-grandfather and Austrian great-grandmother and for students, this is a powerful reminder that skin color, cultural heritage and other factors still can divide us as much as they unite us together. Finally, in considering the emergence of digital storytelling through personal narrative of images and voice, THE MAGICAL LIFE OF LONG TACK SAM is a prime example of how a thoughtful mix of media can be a powerful platform for telling a story. 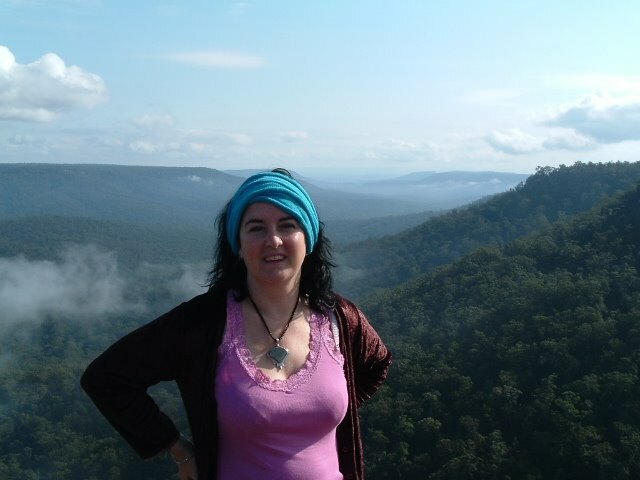 Congratulations on a wonderful blog. I am a TL in Australia and am building up my collection of graphic novels to support the English teachers and my borrowers who just love graphic novels. What a wonderful resource your blog has proved to be. I'm glad we can provide you with useful and enjoyable information. That makes our day. Keep in touch!